The Administrative Manager of Accra Hearts of Oak, Hackman Aidoo has denied that his out are not demanding a refund from suspended coach Frank Nuttall. The Scottish has been suspended for being the architect behind the player's refusal to extend their contract with the club. A three-member committee which comprises Dr Nyaho Nyaho-Tamakloe (Chairman), Mrs Ivy Heward-Mills and Mr Frank Nwokolo Nelson was instituted to investigate the coach has submitted its findings and recommendations to the Hearts Board. 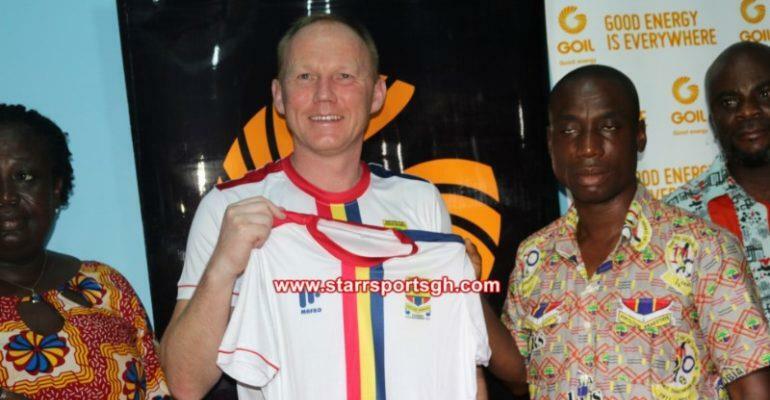 Several reports emerged Monday that the Phobians are demanding an amount of US$ 50,000 and US$ 6,000 cuts he made from the free agent transfers of some two unnamed players. But according to Mr Aidoo, there is no such action by the club on the table. “I was surprised to hear that Nuttall has been asked to refund the money he gained from his dealings,” he told starrsportsgh.com. “No such thing has cropped up because nobody could confirm or gather information that he made some gains though he admitted to those things. “I don’t think there is any refund issue in the whole matter,” Aidoo stated.